For most educators, being a classroom teacher is vital to our identity to the extent that it may even seem impossible to imagine our classrooms without us. However, circumstances may arise when you need to step away from the classroom. While most teachers have had to use the occasional personal day or sick day, for those dealing with a longer term health situation, like a planned surgery, or stepping into a new life stage, like becoming a parent, you may find yourself coming to terms with the fact that you may be spending weeks or months away from your students and your school. 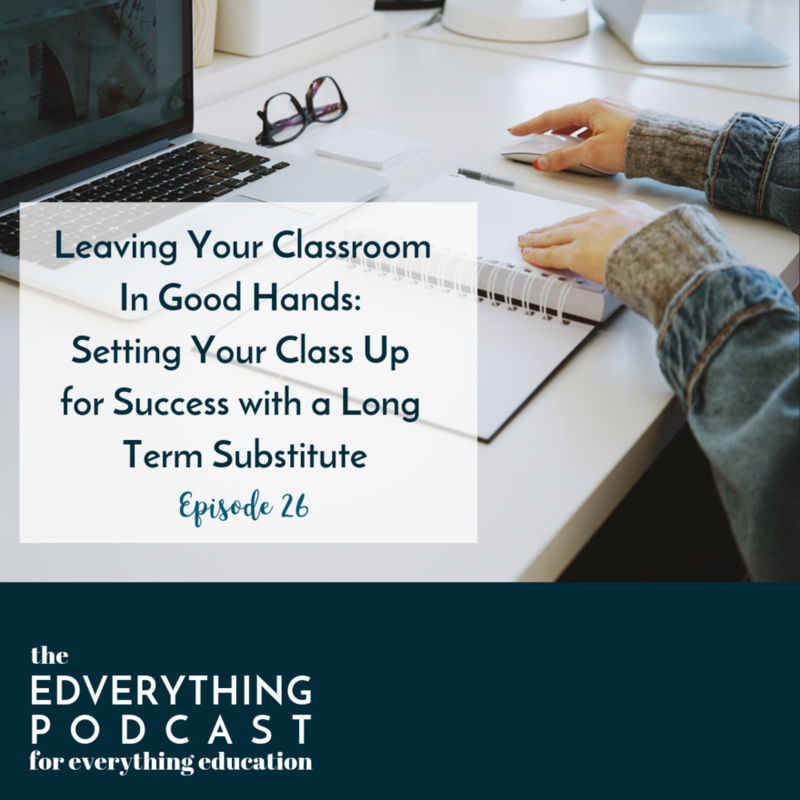 In this week’s episode, Danielle and Nicole discuss what goes into setting your classroom up for success during a long term, planned teacher absence. With an upcoming maternity leave planned, Danielle shares what her experience has been like as she prepares to leave her classroom in someone else’s hands. Danielle explains how she and her sub worked together to ensure a smooth transition for her students, and she shares the 7 questions that you should ask yourself so the change occurs as seamlessly as possible for your students, your sub, and yourself. If you loved the 7 questions we’ve outlined in the episode and you want a copy as you prepared for your own leave, get yours for free in our resource library!